India has requested for quotations from seven global manufacturers for electronic warfare (EW) self-protection suites to accelerate the upgrading of its self-developed light combat aircraft Tejas Mark-1A. 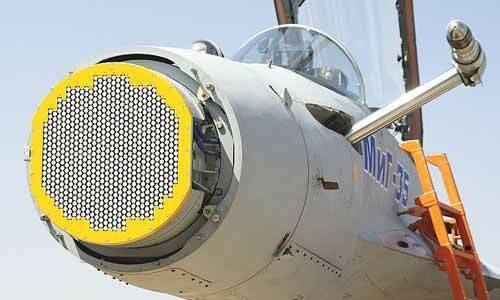 Interestingly, India did not send a request to the Russian manufacturer Rosoboronexport though it has been selected to compete in the tender for AESA radars for the same aircraft. Sources told Sputnik that EW systems worth $200 million will be selected by April next year. Hindustan Aeronautics Limited (HAL), the designated local assembler of Tejas, will purchase a total of 83 EW suites for series production that is expected to start from 2019. The tender has strict conditions for transfer of technology and local manufacturing. India has also sought exclusive worldwide sales and product support rights for the LCA MK1A aircraft or its variants fitted with the EW suite. It will also have the right to use the suite or its adapted versions on any other airborne platform designed or produced by HAL for use by Indian defense customers. Bids have been invited from Elbit Systems and Elta Systems (both Israel), Saab (Sweden), Thales (France), Elettronica s.p.a (Italy), Raytheon (US) and Indra Systems (Spain). HAL will make outright purchase of 24 sets of fully formed EW suites and locally manufacture another 48 based on a combination of kits supplied by the vendor. “[The] Vendor shall ensure that HAL work content shall be more than or equal to 40 per cent by value of the unit price of each EW Suite,” reads the tender issued by HAL. LCA TEJAS is a light weight, single engine combat jet optimized for air superiority and ground attack roles. This 4.5+ generation combat aircraft has a carbon composite frame, digital flight control system; glass cockpit and digital avionics. Last month, the Indian Defense Ministry had cleared the ``acceptance of necessity’’ (AoN) for the procurement of 83 upgraded versions of Tejas for $7.7 billion.